Swimwears here and there! Brands like Soak and I love Koi will greet you at the entrance of the bazaar. With those eye catching bikinis, you definitely won't miss this one out! Plus, a lot of the items were marked down just for the bazaar. 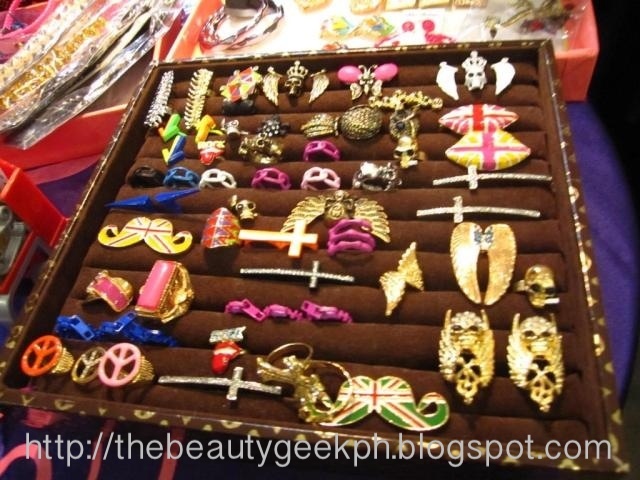 You'll see a lot of accessories too from various stalls. These rings are really nice accent pieces! Of course there are a lot of stalls selling clothes especially for summer! Although I wasn't able to take a picture. You'll also find various stalls from Fashion Design students. 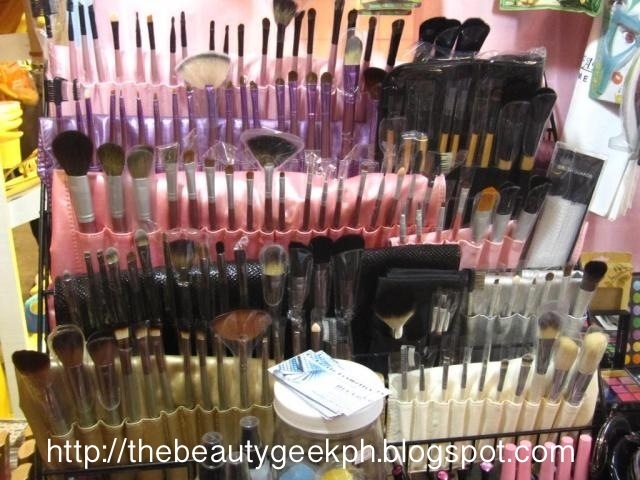 Lastly, make up! That was actually the reason why I went all the way there! 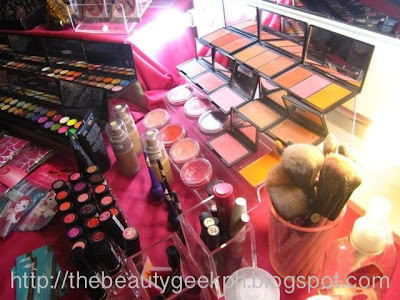 Here's a few photos from Le Faerie's stall. They got lots hair accessories too. 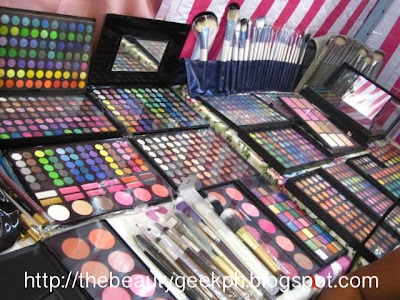 The palettes they have were on sale as well. Now moving on to Chedelyn's Closet! 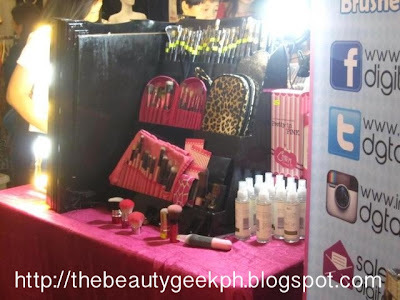 This stall is a staple at Super Sale already. 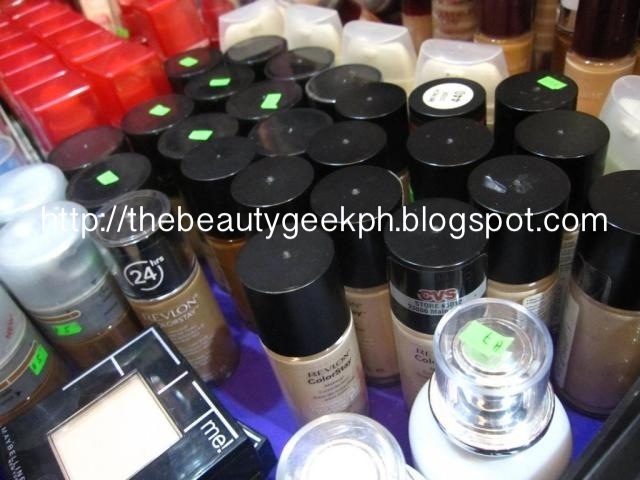 Foundations would cost you around P400 - P600 which would cost around P800 - P1000 at the mall. Not a bad bargain right? Another great stall and bazaar staple are those from Charm and Digital Traincase. They were always full all the time! You'll find Sleek palette's, Beauty UK, Charm Brushes.. I even spotted a lone Banana Visage Powder from Ben Nye at Digital Traincase! I went home with these goodies! 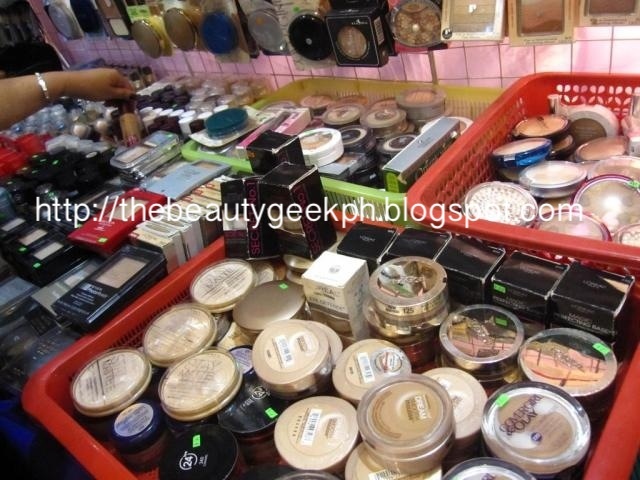 I pat myself in the back for buying only what I needed! 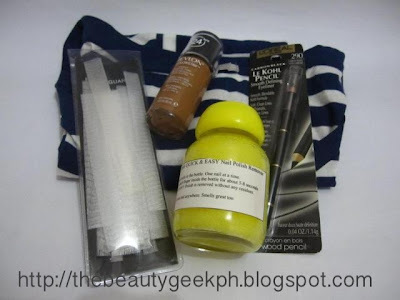 I ended up with Brush Guards, Revlon Colorstay foundation (because they always say it's a good dupe of MAC's studiofix) a Kohl Eyeliner from Loreal this Nail Polish Remover from Bebe Finds which I find really interesting, and lastly a Gap Shirt from this stall that sells export over runs. You still have a day left to check SuperSale today! Have fun shopping girls! So upset that I missed this!! Thanks for stopping by my blog by the way and following :) Already followed back!